Our club coaches bring a wealth of knowledge, experience and of course qualifications to ensure that you are training optimally for improvement, enjoyment and most of all safety. Injury and illness kills consistency and as we always say, consistency trumps everything else. All of our coaches are volunteers but we confess that it’s not entirely altruistic. We coach because of the immense pleasure we get from seeing happy, smiling (and sometimes tortured) athletes pushing their own personal boundaries and building confidence in their abilities. A self-confessed “complete idiot who’s made all the mistakes so you don’t need to” Yanti’s experience is only outdone by her incredible modesty. Quite literally not a week goes past that you don’t learn something new about what this woman has achieved, though sometimes you wish you hadn’t! 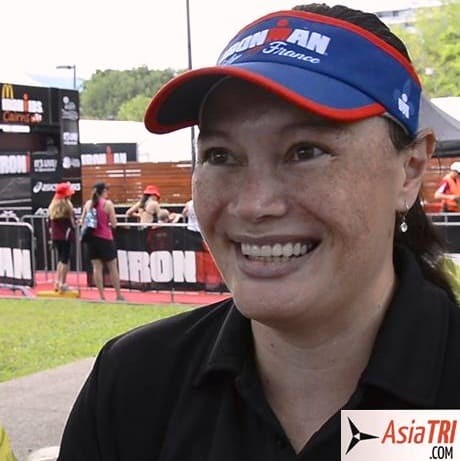 With a number of world firsts and records to her name, 10+ years as a triathlon coach and instructor level qualifications in…well just about everything. All of these pale in comparison to her greatest achievement of marrying her husband Kingsley Bugarin in the middle of an Ironman race and both of them surviving the subsequent years (relatively) intact and (somewhat) sane. Perth Hills Triathlon Club is incredibly lucky to have Yanti on board. Clinical & research internships in oncology & hematology, interventional radiology, toxicology (1997–2001) at Loma Linda University Medical Center, Stanford University Medical Center, and Genentech, Inc. In the 1903 play Man and Superman, George Bernard Shaw wrote “He who can, does; he who cannot, teaches.” Now it’s never been proven that time travel exists but this solitary line of text may indeed be evidence that Mr Shaw had access to it and spent some years observing the activities of coach Trav. Travis is what mothers the world over euphemistically call a “real trier.” With a keen interest in sport from an early age his severe lack of co-ordination resulted a broken arm (twice) and a stint as part of a “horse-riding for the disabled” program in spite of the lack of a physical disability. Eventually his nervous system caught up with his body and he discovered basketball at the age of thirteen where his height, rather than ability, saw him play at a representative level until twenty years later when he scalped himself in a tragic dunking accident and was forced to retire due to an irreparable hairline injury. After two years of getting fat and unfit Travis finally found the sport he was destined for, where over-thinkers abound and co-ordination is scarcely missed. While it would be a stretch to suggest that he competes there is no doubt that he participates with a method and enthusiasm that at times both inspires and horrifies others. Always willing to test his limits he believes that nothing is impossible, it’s simply a matter of working out the how. A somewhat casual demeanour belies the eternal curiosity under the surface which generally results in Travis being deep in thought or deep in trouble. A believer in informal education he is a voracious reader and has developed a knowledge base that has been variously described as “exceptional”, “interesting” and “bizarre.” To supplement this he’s also got a couple of qualifications and is looking ahead to more. Mike is what you would probably call an old-school triathlete. He first found the sport when few others knew it existed back in the 80’s when everything was fluoro and men wore crop tops (it’s been suggested that this may also be what drew Yanti to the sport.) As a junior Mike found some success in short-course triathlon though his close friends from the time suggest his running had issues, most likely because his legs weren’t long enough to reach the ground. After a brief 25 year hiatus to concentrate on other things, he says work and studies but we’re fairly sure it was women and booze, Mike picked up his old budgie smugglers (he still wears size 16 youth, but only from the $5 discount rack) and returned to his roots. Picking up where he left off but with longer legs Mike has found himself on the age-group podium regularly since 2015. With a strong background in science, teaching and training Mike is a fantastic complement to the coaching team, though being a teacher spelling and grammar needs work. We give Mike an A-. 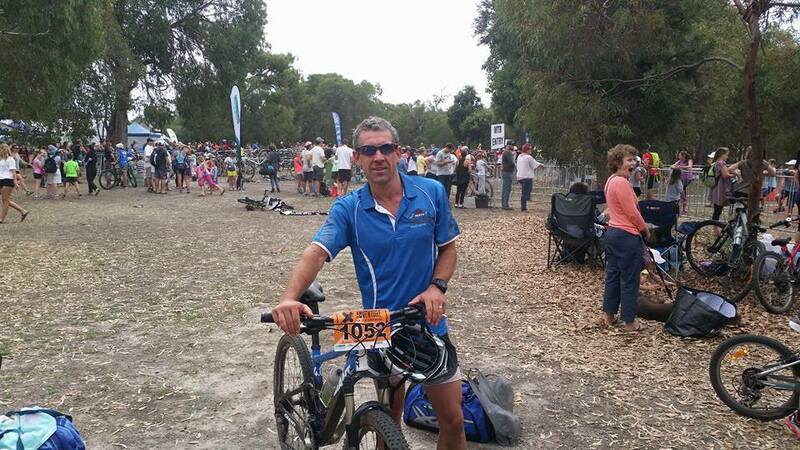 He might not look it but “Slim” is undoubtedly one of the most outstanding triathletes in Western Australia. For twenty four years he’s been out standing on the pool deck, in transition, in the penalty box and in all weather conditions with a huge smile on his face and an encouraging word to say. 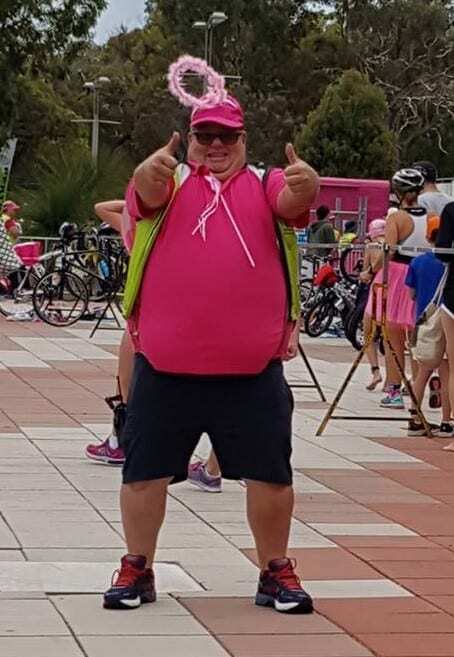 If you can find a single triathlete in WA that hasn’t had at least one positive interaction with this man then you can bet they’re so untrustworthy that they probably only do duathlons. As a technical official, coach and triathlete who has had his share of issues Rob is perfect person to guide our novice athletes as they dip their toes in the water of triathlon. 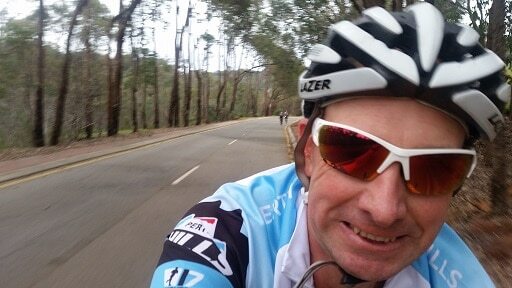 After years of dedicated service at both Perth and Stadium triathlon clubs we’re very proud that Slim has decided to move a little closer to home and join the Perth Hills coaching team.